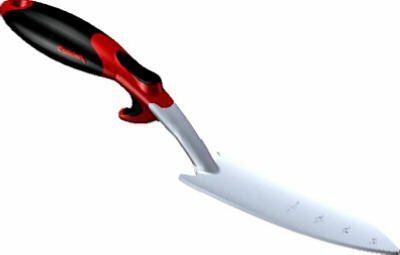 Deluxe Trowel Hand Tool, Cast Aluminum Heads, Ergonomic Co-Molded Grip For Greater Comfort, Sharp Point For Easy Digging, Graduated Depth Markings On Blade, Thumb Rest, Handle Designed So Hand Can't Move Forward On Blade, Patented Design. If you have any questions about this product by Corona Clipper, contact us by completing and submitting the form below. If you are looking for a specif part number, please include it with your message. Bosmere R474 Haws Long-Handled Trowel, 28"